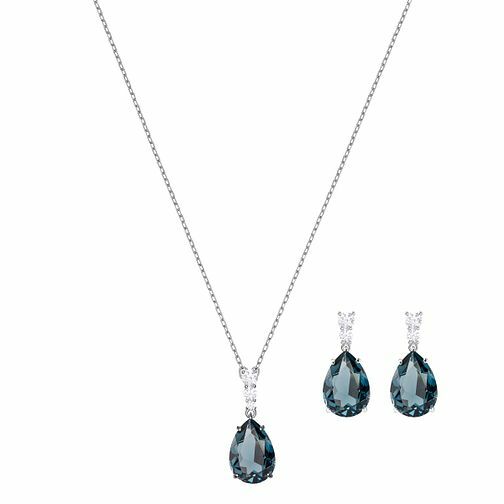 Swarovski presents this beautiful Ladies' Rhodium Vintage Blue Earring & Pendant Set. Add a touch of timeless glamour to your jewellery collection with this beautiful earring and pendant set, featuring a single blue crystal in a drop design. Impossibly elegant and stylish, this set makes for a classic accessory.